Ordered and out for delivery. Should arrive by end of Oct. Super excited for this and have watched about every youtube video build about it in anticipation. Anyone who has done this kit, any trouble spots or areas to watch out for? I'll post pictures of the build progress here as I work on it. All tips and tricks are extremely welcome. I just finished mine this summer. If I built it again, I would paint the subassemblies separately to help keep masking simple. Great kit, you'll enjoy building it. Thanks for the tip. The wait for the mail to come is the hardest part now. That and trying to find all the right colors for the bird. 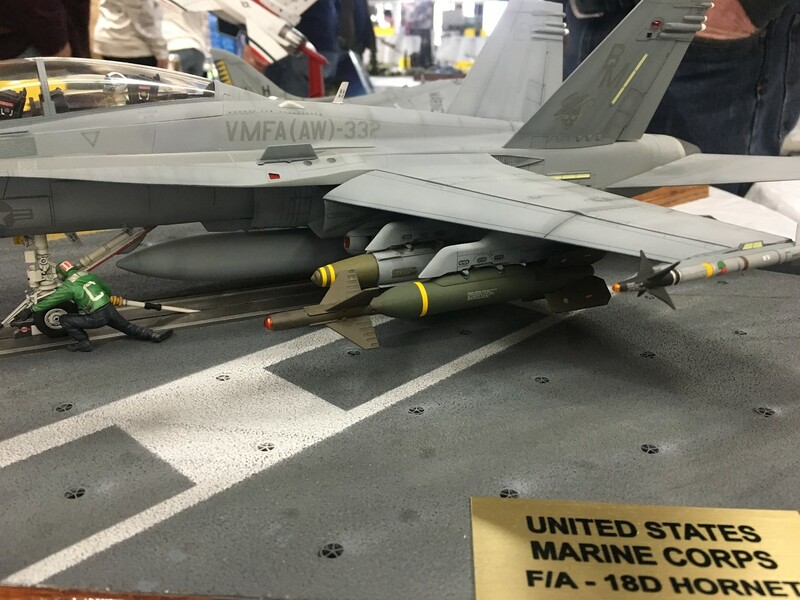 The list of Tamiya colors for this is huge...painting mine in the VF-84 colors, is the 43 colors that Tamiya lists here http://www.mech9.com/2017/05/tamiya-148-grumman-f-14a-tomcat-english.html acurrate or are there some that can be skipped? The only really specific color is the light gull grey. It's available in most all brands of paint. White is white, and the black for the tail is no special color. I had most everything(primarily Testors) in my box already, though I experimented with Gunze for the color scheme. You can find a paint set of Testors paints that will give you much of what you need at a reasonable cost. Looking forward to seeing a nice kitty,I got one too,gonna do it in Grim Reapers finery. Where the upper fuselage pieces B4 and B17 join, there will be a noticeable step up. It’s SUPPOSED to be there, so put away the sandpaper! No other surprises I can think of. You’ll love this kit. It’s the closest thing to a “fall together” kit I’ve ever seen. I’m working on the new D model now, having done three of the A’s. I've got to agree with everyone on this. The Tamiya Tomcats are just pure fun to build. They go together beautifully. I've built several Hasegawa F-14s, and they look good when they're done, but they will fight you along the way. The only "problem" with Tamiya's is deciding what color scheme to do. 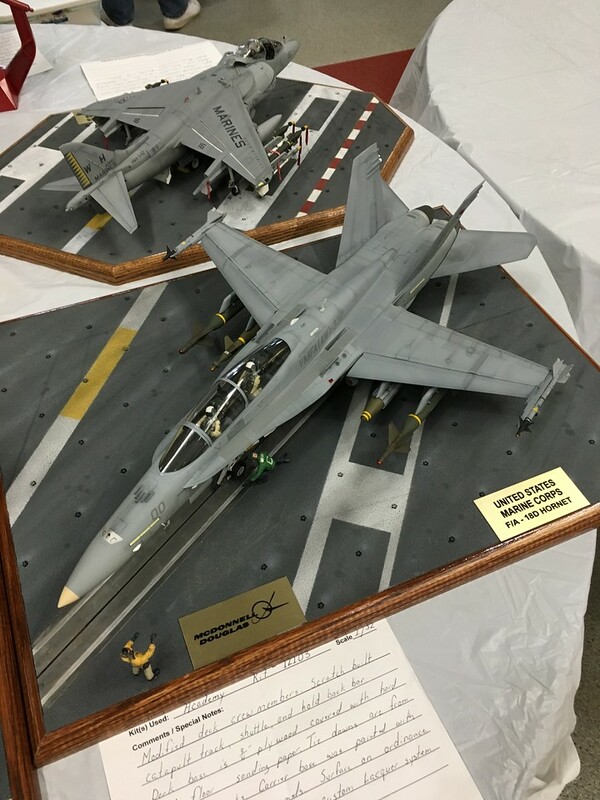 Saw one entered at a recent IPMS show. It is a big kit when finished. 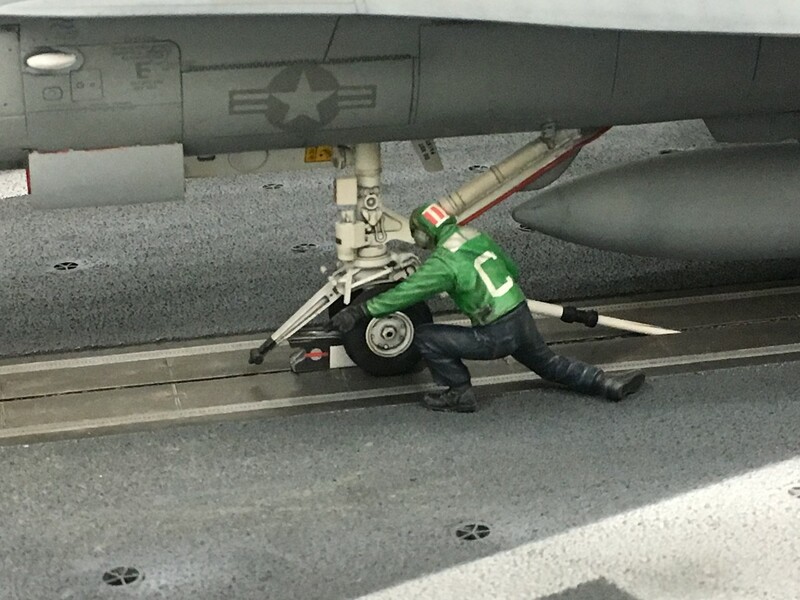 I love building F-14 Tomcats but never done one in 1/72 scale. I have built a bunch of Hasegawa, Revell/Monogram but the Tamiya Tomcat has the best fit and was the easiest to build hands down. You do not need to use Tamiya colors if you have them by other manufacturers . Some are standard colors like black, white etc. The lt. gull grey is FS 36440 available from different model paint companies . The Hasegsea 1/72 Tomcat is about the same in detail as the 1/48 one. The newer ROG 1/72 ones are well detailed and build into a great looking Cat. Its here, sorry just the one pic on a very messy workstation. Currently building a dio of a Panther with some infantry "Somewhere in Ukraine." Havent started anything else yet as I am checking on which paints I want to go with. I have some Model Masters Dark Gull Grey but I think it may be too dark for the exterior. Doing some tests now with it. Otherwise I'll have to go the route of waiting for some more paints to come via mail. Dark gull is too dark and the wrong color for that early scheme. You need FS 36440 Lt. Gull Gray over white. Dark gull gray is the right color for the cockpit (except for the seats, they are black). The exterior gray is light gull gray FS. 36440. The inflatable bags on the upper fuselage behind the wings are frequently dark gull gray also, but they weather and fade a lot. Yea the pit is dark gull. Thanks guys, looks like I'll have to wait just a bit longer to start the build as I have no where near here to go get the paints needed physically. One of the crappy parts of being so far from a metro area. On another topic, planning ahead to the carrier base I'll make for this once finished, is the texture of the carrier similar to something like a spray on truck bed liner? I know its kind of rough but is the truck bed liner a bit too rough? This one is the exception, Stu. Only decal that gave me an issue(and my fumble fingers are the prime suspect) was the rear cockpit IP. The rest went down beautifully. The instructions give the option of buff/tan also. nope that’s about perfect. Use Gunship Gray. Doh... I meant 1/48 scale. I've done Tomcats in 1/72 scale, not 1/48 scale. Thanks for the help as always everyone. A little update on progress so far, started on the cockpit and everyone is right...the fit is amazing so far. Found a shop that sells paints and I quickly bought some, even saw they had mastermodel color number FS 36440 on the shelf. Quickly scooped it up, got home to notice the bottle that I bought was in the wrong spot on the shelf. DO'H!! So instead of having a light gull grey I came home with Light Grey. *sigh* FS 36495. So build is at least started and I will have to go return said paint for another which is about an hours drive away. Will post pics when there is some decent progress if anyone is interested. In the pattern: 1/32 BaaBaa Black Sheep Corsair for a tribute build!